Hey guys check out this cool article form the Desert Sun, highlighting local Dj’s working pool parties in the Valley! 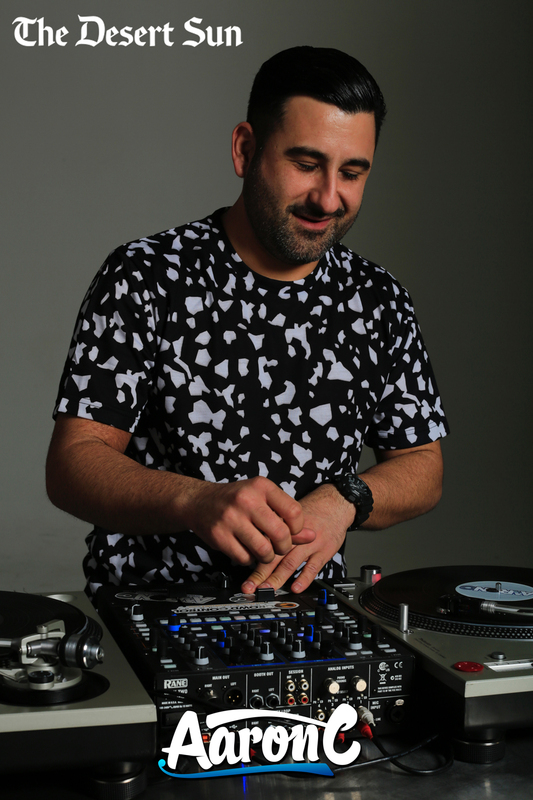 Originally from Inland Empire, DJ Aaron C or Aaron Cortes comes into Palm Springs on the weekends to perform at various venues. The DJ’s love of music stemmed from going out to clubs and dancing. After a weekend out, Cortes would scour record stores to find the music he listened to at the club. Hanging out in vinyl shops led to his purchase of turntables which led to playing college parties, company parties, clubs and now, pool parties. Where you’ll find him spinning: Cortes’ regularly plays at ARRIVE‘s “Assisted Living” from 12 p.m. to 6 p.m. on Sundays located at 1551 N Palm Canyon Drive. “Assisted Living” has no cover charge. He’s also played at The Saguaro, Agua Caliente Casino Resort Spa and Ace Hotel & Swim Club. His music variations: Cortes is an open format DJ, so he has to be ready to play anything, he said. With multiple groups of people to cater to, from locals to vacationers, Cortes said the skill of a good DJ is to read the crowd and bring listeners what they want while not leaving anyone out. “You have to be able to be flexible and bounce around,” he said. For ARRIVE’s “Assisted Living,” guests are looking for something a little more relaxing on a Sunday afternoon. “The hotel itself speaks for itself. People go there for the ambiance so really we’re playing to relax not playing to turn up there,” he said. His party suggestions: The DJ suggests drinking plenty of water and staying in the Palm Springs downtown area for easy walking or driving distance between locations. To find the right party for you he suggests checking out the venue’s social media for a preview before attending. His food and drink recommendations: Cortes is a big cucumber fan, so he reaches for the Cucumber Gin Fizz at ARRIVE. Update: This drink is no longer available at the bar, but ARRIVE’s Swan Dive offers a similar taste with flavors of cucumber, grapefruit and lime. At Ace Hotel & Swim Club he orders The Desert Facial, but substitutes gin. At The Saguaro, the DJ suggests ordering tacos from their restaurant, El Jefe, for a poolside bite.